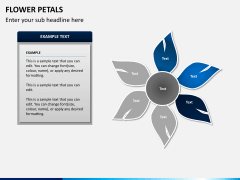 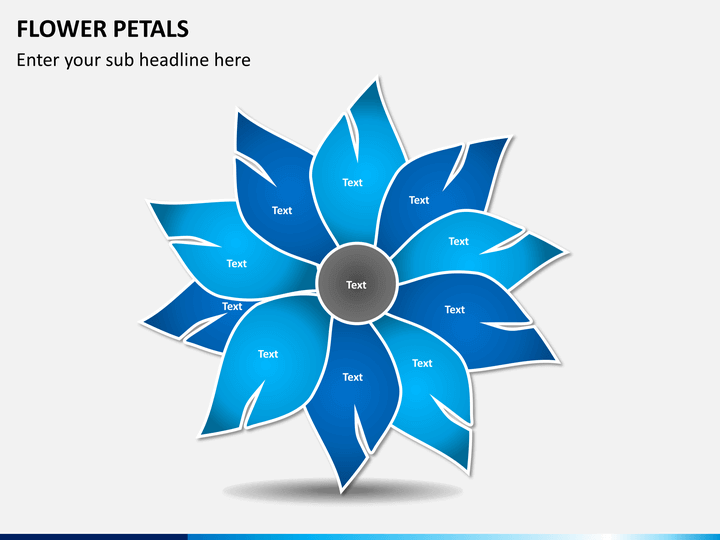 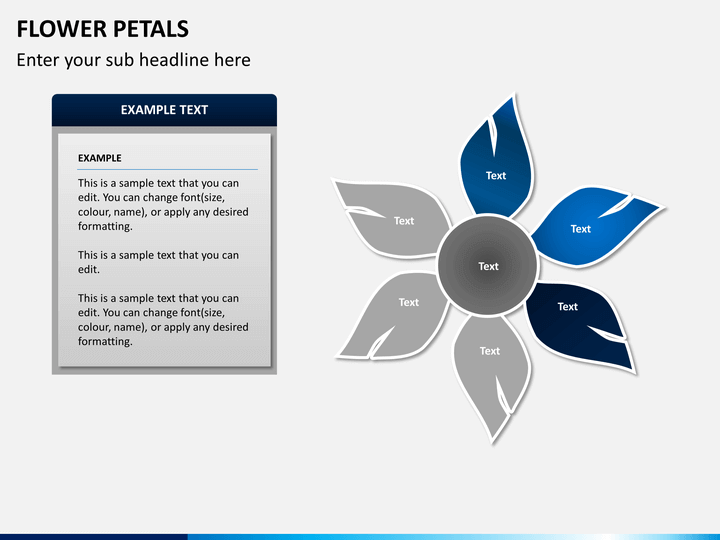 Completely editable professionally built PowerPoint Flower Petals Template for outstanding presentation results. 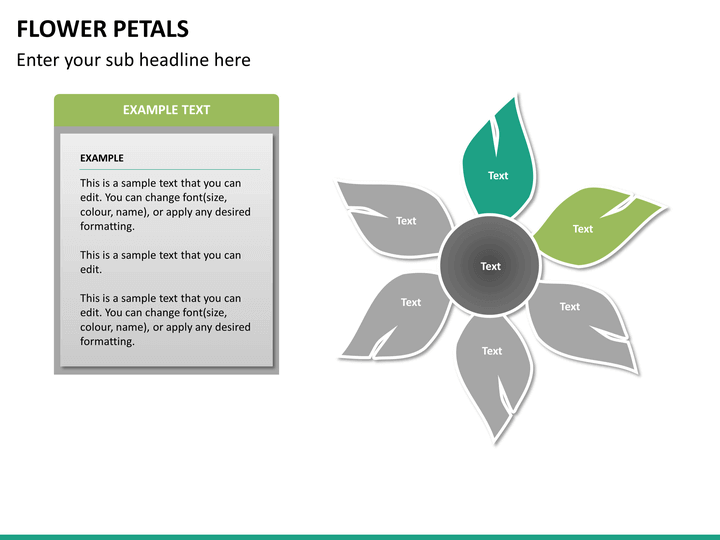 This template is also available for Apple Keynote and Google Slides. 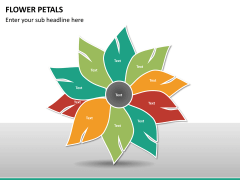 No thanks continue to checkout Flower Petal Diagrams Template . 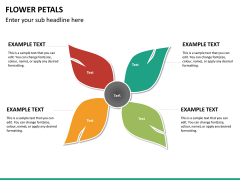 Who doesn't want a presentation to do wonderfully well? Of course, everyone does. Added to this, every presenter want audience to carry home the message that they intend to communicate. 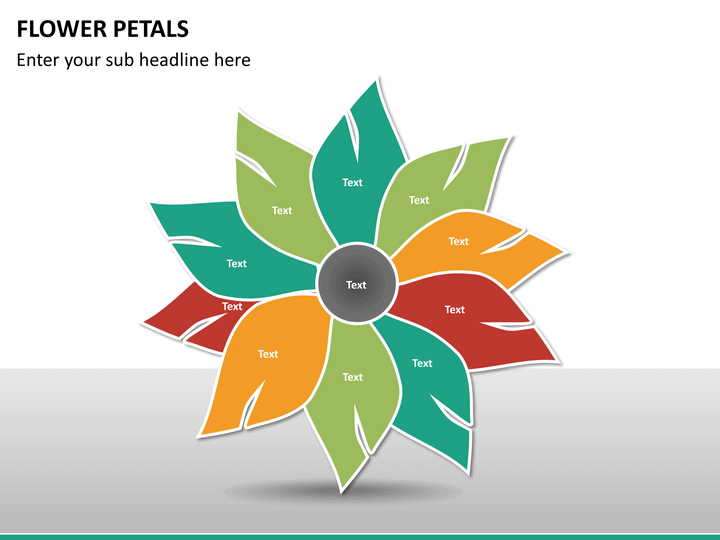 But without proper visuals, it gets really difficult to communicate what you actually want to. 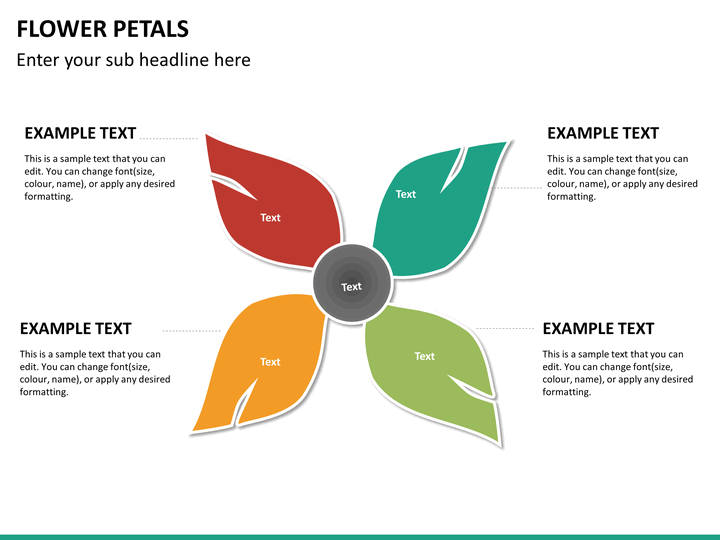 This is where; pre-made ready-to-use visuals prove handy. 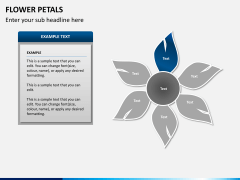 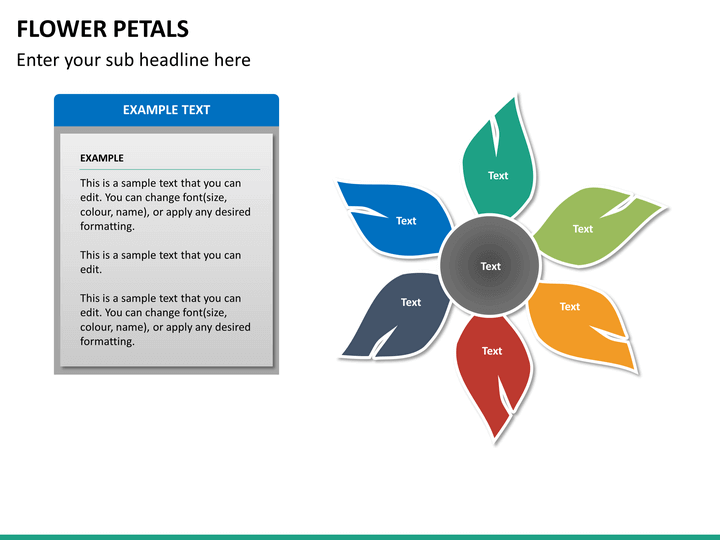 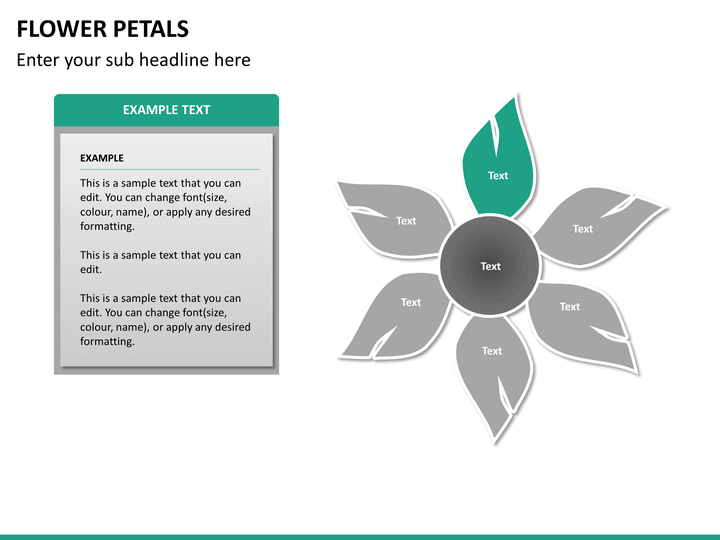 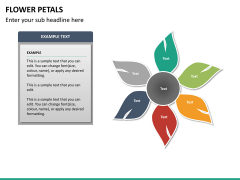 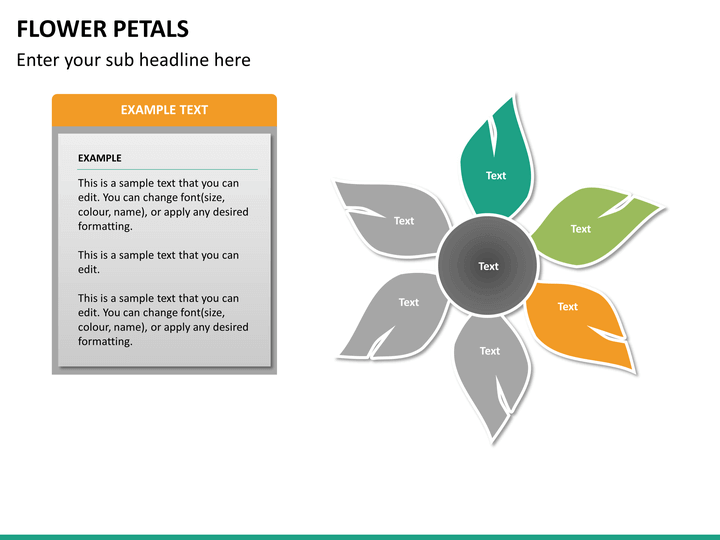 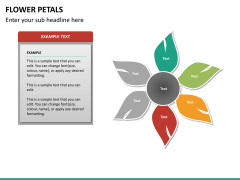 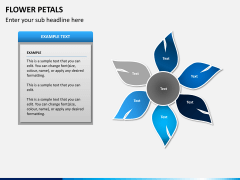 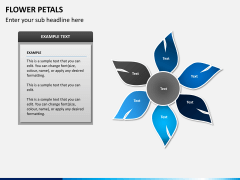 Thus, we bring to you professionally built Flower Petals PowerPoint Template. Pre-designed and fully editable, it gives complete customization freedom and saves you from the burden of creating visuals from scratch. 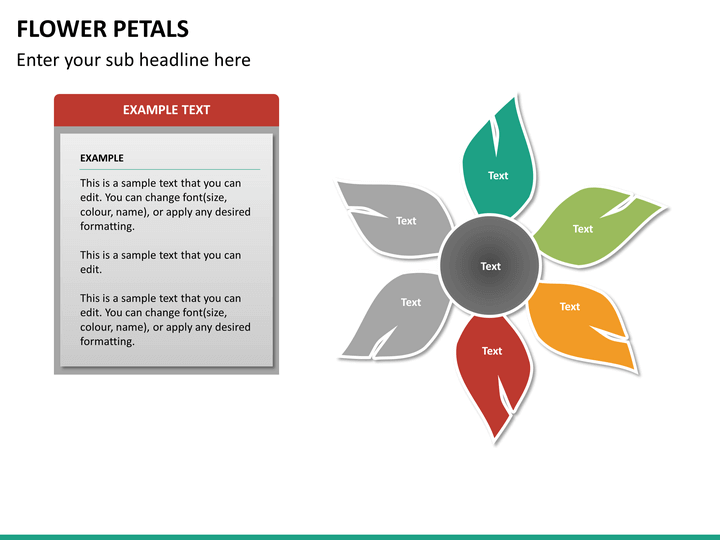 By simply adding your content and making necessary changes, you are ready with the visual aids. 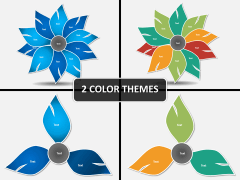 Thoroughly versatile, the set can be used for variety of purposes. Whether you are to describe next project or explain how an ongoing project is progressing, it proves absolutely relevant. 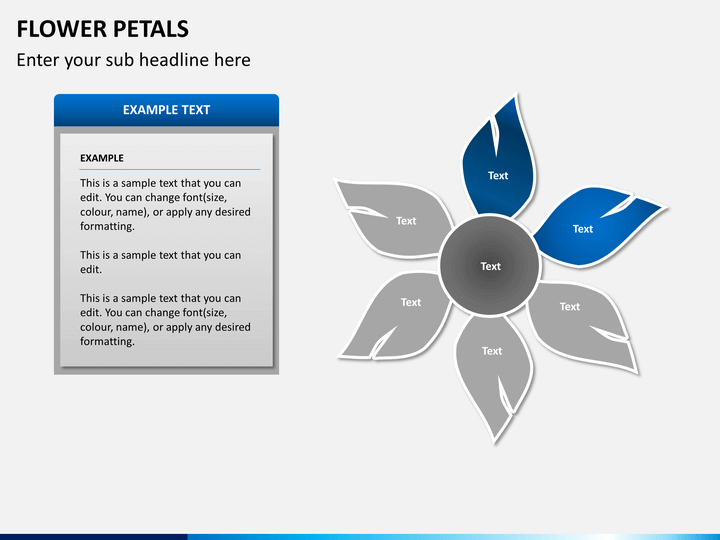 The flexibility that the slides offer makes them easy for usage and handling. 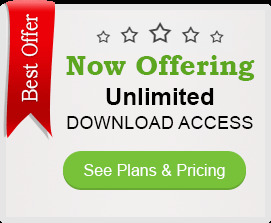 In fact, you get a most user-friendly experience. From changing the background details and layout basics to choosing the color, font style and size, every move is up to you.For every presentation, your only task will be to add the content and alter the designing element as per your needs. 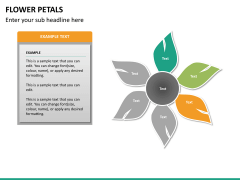 Describing and demonstrating information sometimes require more than just a list of facts. 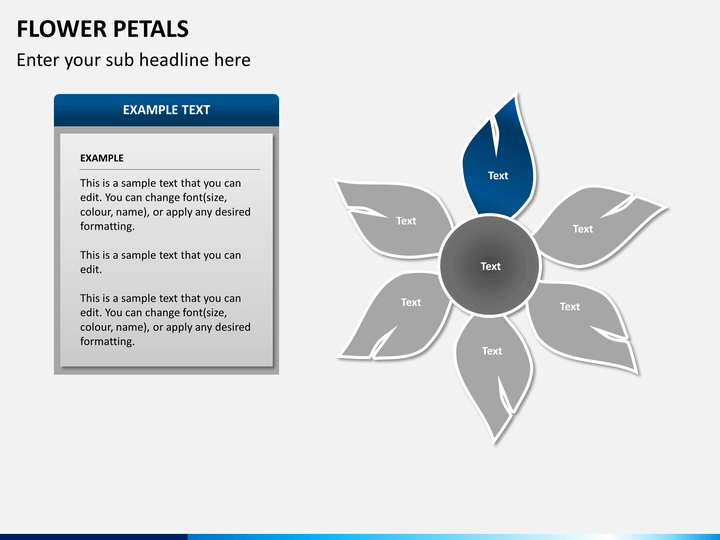 A little creativity along with the information is often needed to attract your audience. This makes your message far more comprehensible than otherwise. 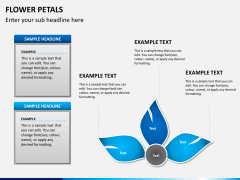 Further, everyone actually takes home the message that you intend to communicate. 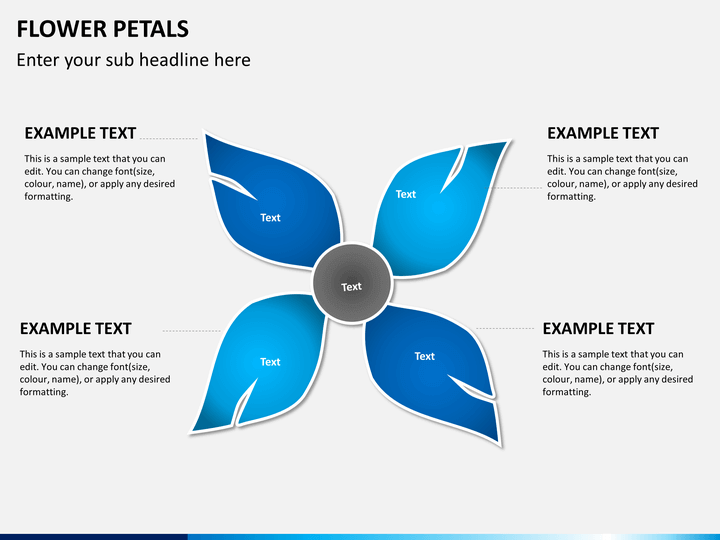 Flower Petals Diagrams are one such incredible ways of making your information more interesting and attention grabbing. 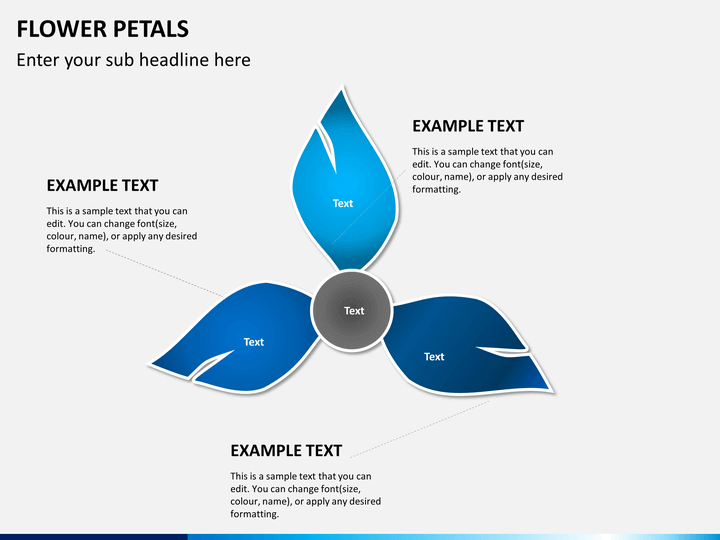 With lively colors and exquisite shapes of the petal like structures in your visuals, you feel free enough to explain your points with added creativity. Best for variety of themes and subject matter, it works wonderfully well in all kinds of presentations.